Today's "I Want to Be" series features Stephanie Shaver, who works at home both providing a day care service and selling toys. Stephanie is a mom to four kids, ages 11, 9, 5 and 1. She has a degree in Early Childhood Education and lives outside New Orleans, LA. Find out how to connect with Stephanie at the end of this article. 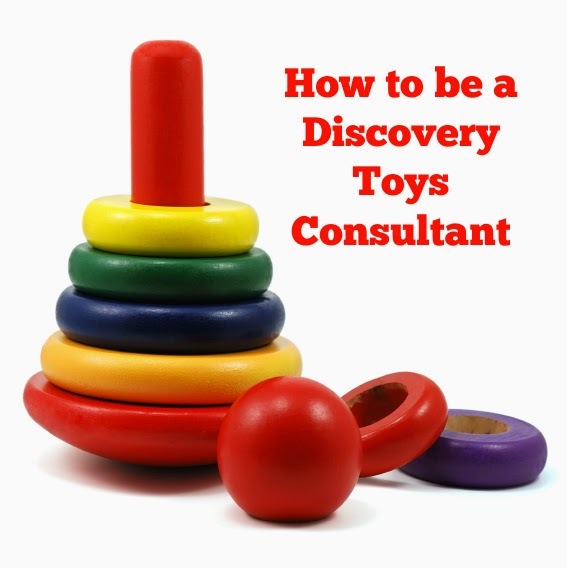 I joined Discovery Toys in January, 2013. I grew up with the products and wanted my children to have the same. Also I run an in-home daycare along with homeschooling my 11 year old. What better products to have them use and play with than ones that were guaranteed for life and are educational. Part time for now. Eventually I would like to go full time but not for a few more years. We have parties that people can host. I also love doing different events in the area like Kid Expos or craft fairs. My favorite part of the business is being able to teach through play! Watching the children learn and grow as they are playing is just amazing. I love hearing from parents who say their children are now passing math or science or reading and they owe it all to Discovery Toys! It is very rewarding. "I can buy xyz elsewhere." Yes, some of our products are cheaper elsewhere. However, chances are you won't get the one-on-one personal shopping experience you would if you ordered through one of our consultants. Also your product is only lifetime guaranteed when purchased through Discovery Toys. And most of the time DT will get the company that makes the product to add some extra benefits to the one we sell. Also, my child is too old! Never is your child to old. I have sold games to adults before for them to play with. We have something for all age ranges from birth to 99. It is a wonderful company to work with. Everyone is like family. If you are looking for good quality educational products for your child, then Discovery Toys is right for you. Not just that but working with a company like this you will learn so much about your own children. I have learned so much about child development since working with DT; it is unreal! The first step is to contact a consultant. You can go to my webpage for further information on that. Mary Christensen. She has the best books on building any business! You can learn more about what Stephanie does at her Discovery Toy's website.